Nintendo is set to release a special Super Mario Maker 2 package in Japan. The set comes with the game, and 12 month subscription code to Nintendo Switch Online. In addition, they also announced a touch pen pre-order bonus for this and the regular version of the game. 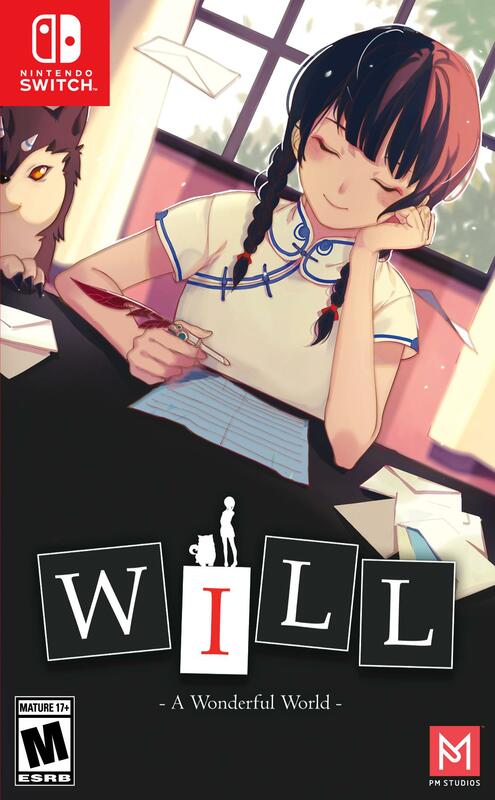 PR - WILL: A WONDERFUL WORLD RELEASES ON NINTENDO SWITCH ON JULY 2! REDMOND, Wash.--(BUSINESS WIRE)--When you put together your upcoming summer plans, make sure to add “Create the Super Mario course of my dreams!” to the list. That’s because Super Mario Maker 2 launches exclusively for the Nintendo Switch system on June 28, just in time to take the game with you on all your summer travels. For more information about Super Mario Maker 2, visit https://supermariomaker.nintendo.com. Join Pixel as he quests through gaming history, teleporting across the most iconic video game systems of generations past. He’ll have to jump, dodge and play smart if he wants to survive all the traps, puzzles and enemies waiting to take him down at every turn. Move, think, jump or die is the motto Pixel must live by if he wants to unlock the next console on his historic journey. Enter into a living, playable museum of video game history: A museum that spans across three decades, featuring 19 historically inspired consoles and over 100 levels to conquer. A museum of sharp things, meanies and free falls - in which you will die. A lot. And the fun’s just getting started. Whether you’re nostalgic for these classic consoles or it’s your first time experiencing them, now it’s your turn to make gaming history! Take a journey with the wizened Professor Pixel and revisit the golden age of gaming. Featuring a massive variety of beautiful pixel art from classic 8 & 16-bit game systems, such as Amiga, SNES, Mega Drive, Commodore 64, Apple II, Game Boy, NES, Atari 2600, ZX Spectrum & Master System! Look out for nudges to console classics like Mega Man, Castlevania, Zelda, Streets of Rage, Shinobi, Metroid, Wonder Boy, Pitfall, Sonic & more. Revisit computer legends such as Turrican, Uridium, Jet Set Willy, James Pond, Rick Dangerous, Prince of Persia, Impossible Mission, Exile & lots more. Dozens of special secrets to uncover and experience. From silly little touches through to great big mega-epic secrets! Look out for jetpacks, bubbles to fly, trampolines, hidden rooms and maps, aeroplanes, skateboards and even a Sinclair C5! Special power-ups and equipment with levels featuring puzzles and secrets only accessible using Pixel's new found abilities. Fire pixel from a cannon, reach high areas by bouncing on a trampoline, use the Super Potion to defeat enemies, smash the baddies with the mine cart, deploy the Bomb to destroy walls and uncover hidden secrets! We've worked with amazing chip musicians such as Eric Shumaker, Gavin Harrison, Rob Lynch, Ashton Morris and others to create a fantastic chip music soundtrack for the game - and not forgetting the sound effects too! All audio created with either the original hardware or VST based emulation. While we don't have a release date, Super Life of Pixel is said to be launching soon on Switch. We'll bring you the release date and pricing info when it becomes available. 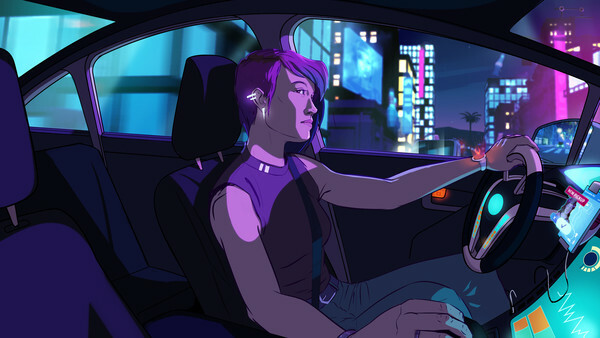 Neo Cab is one of the more unique-looking titles heading to the Switch. This story-based game has you taking on the role of a cab driver, learning about the people around you and the city at large as you go. There's a very specific message trying to be conveyed in this game, and creative director Patrick Ewing explained what the team is going for. "A lot of us used to think -- even though it was naive -- of America as being the land of opportunity and a land where everyone is meant to be equal, but when I got to San Francisco, it was like we're not even pretending any more. We can't take care of people on the ground floor. We wanted to represent that and Lina is kind of in the middle; like 80% of Americans, she's living paycheck to paycheck, but there's a promise and hope. Now I feel like it's much more nuanced than that. Sometimes tech really does improve the world, and you can even say that overall -- if you squint and step back a bit -- it's always improving things. But at the moment there is so much disruption that I've seen during the years that isn't great." 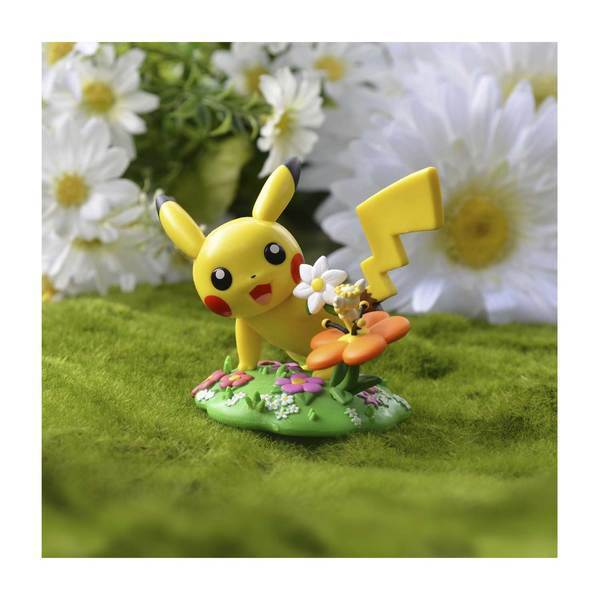 Share heartfelt thanks, congratulations, or well wishes with a little help from Pikachu—presenting a flower bouquet and a gift tag with a slot where you can add your own special message. 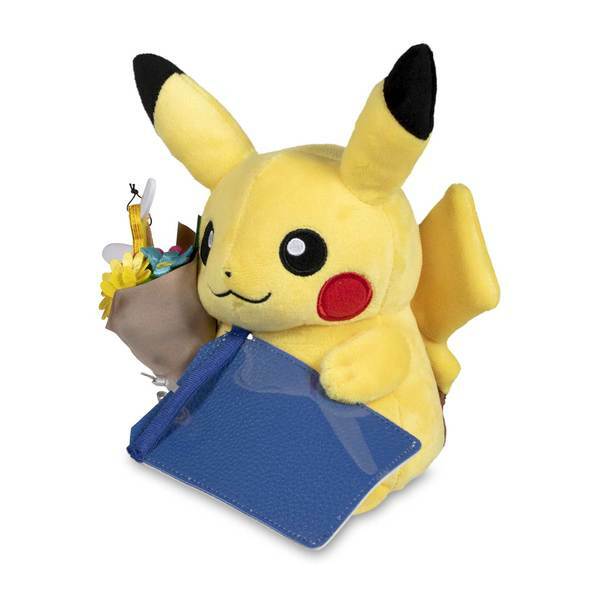 This adorable plush is a fun way to add thoughtful Pokémon cheer to any occasion! 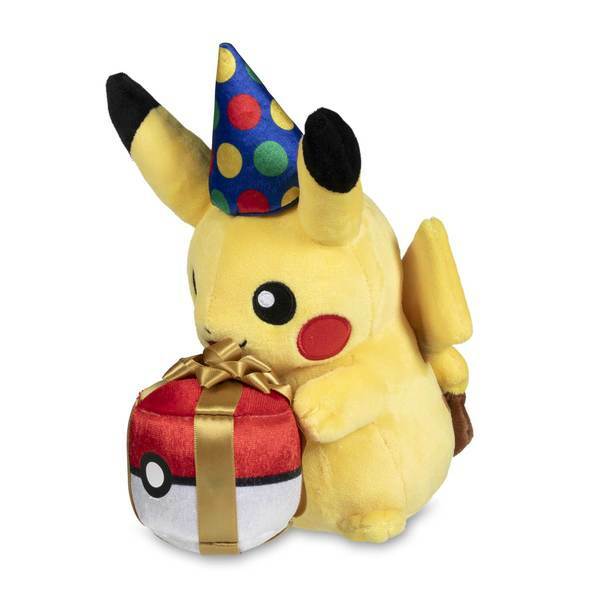 With a colorful hat and shimmery present, Pikachu's all geared up and ready to celebrate someone's birthday! Whether you gift this fun plush to a friend or display it as a centerpiece to celebrate your own special day, it's an easy way to spread the joy of Pokémon. Pikachu looks ready to open a present of its own! Has Masahiro Sakurai teased Smash Bros. news on his Twitter account before? 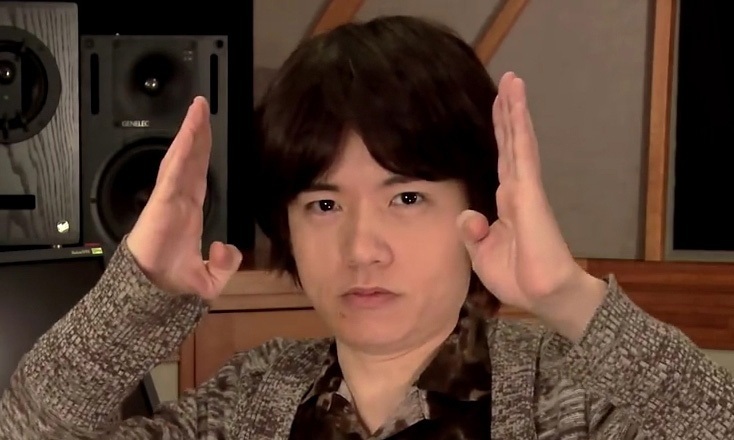 He sure has, and this has lead people to believe that every tweet he sends out is some sort of tease about Smash Bros.. Masahiro Sakurai himself has sent out another tweet today to let people know that not everything he tweets is related to Smash Bros.. Sakurai plays through a lot of different games, and simply likes to share his time spent with those titles. Sometimes a tweet is just a tweet! 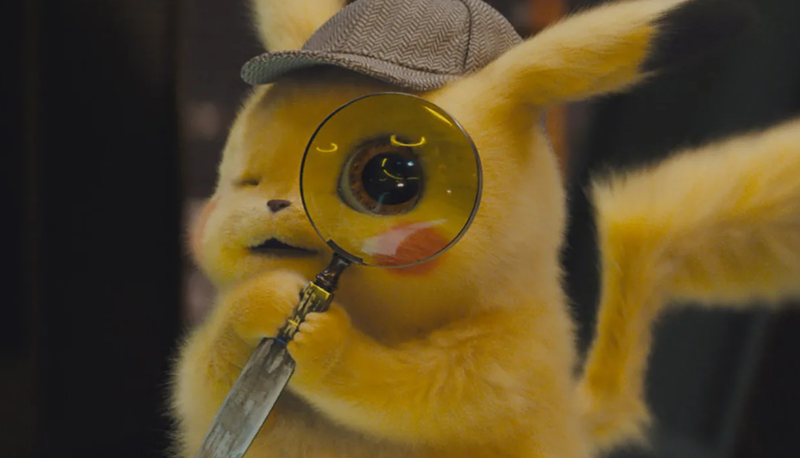 We've already heard a bit of praise for Detective Pikachu from the director of Kong: Skull Island, but now more comments are coming out from those who got to take in early screenings. It really seems like this film is going to be a winner! Check out a compilation of comments from viewers below. - Each month, join Pikachu as it explores a year's worth of adventures!